We are currently developing some fantastic new initiatives, a few of which you will find summarized below. We welcome international partnerships in these endeavours, so if any concept fits your organisation, we look forward to hearing from you. 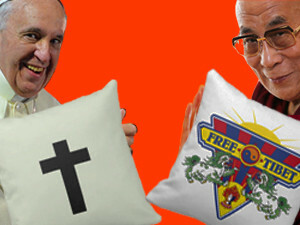 The Pope and the Dalai Lama will engage in a pillow fight but only under the condition that 20 million people worldwide make a peace pledge to do something peace-enhancing in their own life or whereabouts. More generally, the concept of a ‘Pillow Fight Pledge’ refers to a campaign in which the prospect of those in power doing something wacky acts as a motivator for masses of people to take responsibility. This is a concept to encourage reduction of energy use in homes. 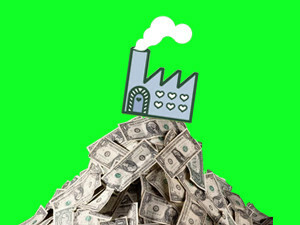 Children are ‘employed’ by the Pocket Money Factory and their job is to reduce energy use at home. They can get active themselves as well as manipulate their parents. The deal is that they receive half of the money saved as pocket money. Every year (say sometime in spring) people from over the world challenge an unlikely person to go skipping with them, while asking their friends and acquaintances to act as sponsors. 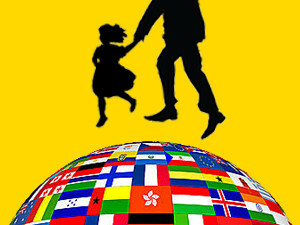 The proceeds go to children in violent parts of the world. Imagine Obama going skipping with a young boy from Africa, a school class skipping with Miley Cyrus, Israeli kids inviting Palestinian kids to go skipping together and Nicky from Oklahoma skipping with her great-grandmother. 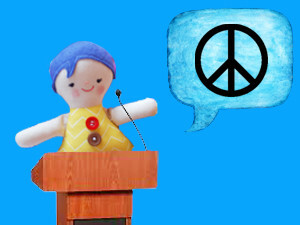 Which NGO devoted to peace would like to join us and make this exceptional event a reality?